Our aim and responsibility is to supply to each individual the best bed possible. To do this, we need your help. Simply take a minute to answer some basic questions about yourself; it’s free, fun and interesting to see the results. This information is then combined with our experienced research data to offer you your own Individually Tailored Latex Mattress Sleep System. This will enable you to buy with total confidence, by clicking on the result which will take you to the recommended mattress type. Please note these results are calculated for the best prescription for both person's. 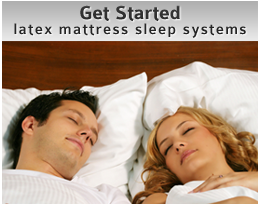 If you require a mattress only, simply use the mattress prescription provided and click on the below product image. If you require a frame only add the slat support prescription to your selected frame for a complete bed frame. If you require a bed frame and mattress add the total prescription to your selected frame from our website. Due to the large range of bed frames and slat systems it is best to call us on 1800 822 681 to discuss the best options. Thank you and for doing our Sleep System Consultation, we hope you can take advantage of the results to ensure a more restful sleep. We will respond to your prescription in more detail shortly. Dawn Natural Beds Wishes You Sleep Well and Wake Refreshed!